Music unites the human soul. We may come from different paths, from distant parts of the globe, speak in different languages, with cultural practices as far as east is from the west. And yet there is one thing we can all agree on, whether you can carry a tune or not: Music is an integral part of life. A funny but mostly true statement by Michalis Karakatsanis of the 2017 European Forum on Music stated that "When you put six politicians in a room and open the door after half an hour, you could find them arguing and punching each other. But when you put six musicians in a room, only music will come out after half an hour." At the wonderful Rave Harps studio. Such is the power of music in bridging cultures and different peoples. 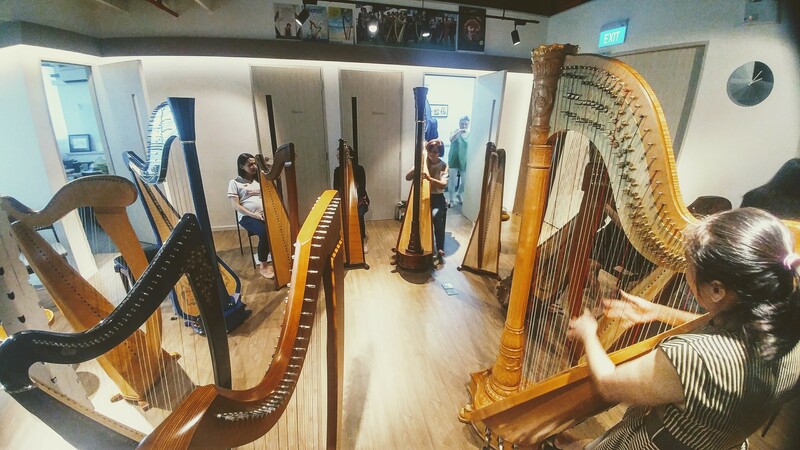 And such is what we have experienced at a recent trip to Singapore to hear and learn from great musicians who have mastered one of the most ancient of musical instruments: the harp. 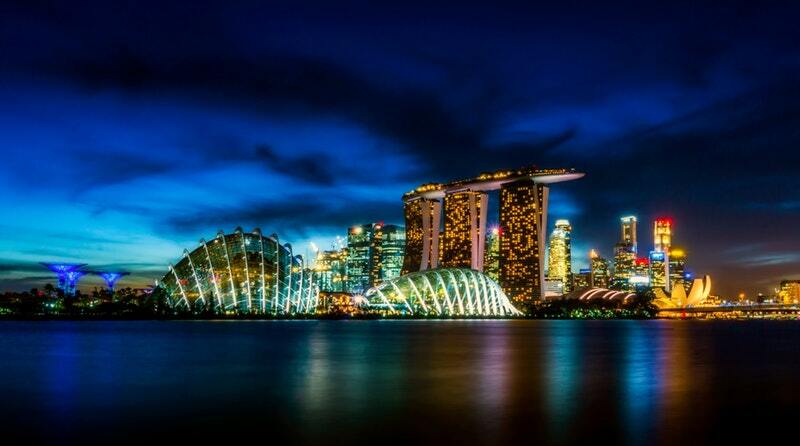 Singapore has long been a crossroads of trade and commerce. With that, diverse people groups have crisscrossed through this small island since Sir Thomas Raffles envisioned it to be a center for free trade in south east Asia. Now, it is a powerhouse evoking awe at all who wonder at how this tiny island became a global economic juggernaut. It is not surprising then that it was here that we met with some of southeast Asia's harp masters - together with internationally acclaimed and multi-awarded French harpist Isabelle Moretti and her husband Jakez Francois, CEO of Camac Harps France - kindred spirits that have pursued the love of the instrument and the propagation of the heavenly sound that emanates from its strings. After the concert. Isabelle Moretti with JoAnn Cerdenia and the amazing Camac Canopee. 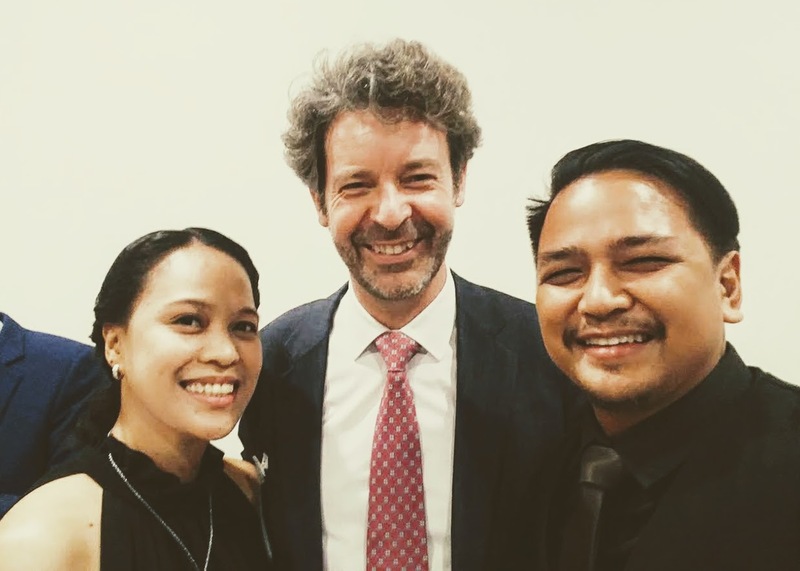 At the generous invitation of Katryna Tan, the pioneer of harp music in Singapore and founder of Rave Harps, the premier harp institution in Singapore and Malaysia, that we came to this wonderful country to learn from and hear the amazing musicality of Isabelle Moretti, and meet harpists from all over the region. Kindred harpists. 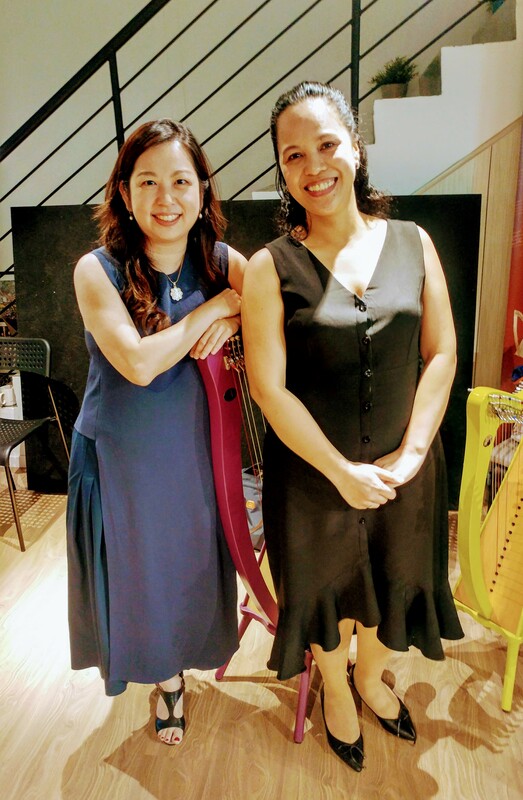 Katryna Tan of Rave Harps with JoAnn Cerdenia of HarpRoom. 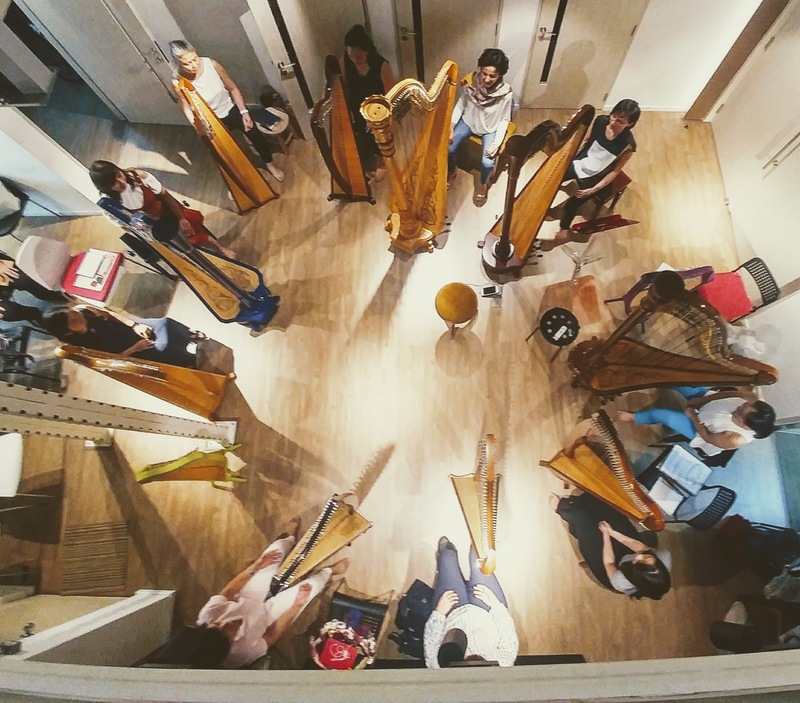 Southeast Asia has grown a very vibrant harp scene with people from all walks of life, in a wide age spectrum. It truly makes us proud to be part of and make harp music with this flourishing community in this part of the world. Harp Circle. The wonderful harpists of Southeast Asia.